WASHINGTON—The Justice Department has put sanctuary jurisdictions on notice, again. This time with a letter to 23 sanctuaries demanding proof of compliance with federal immigration laws or face a subpoena. Many sanctuary policies limit local law enforcement from cooperating and communicating with federal immigration authorities. All sanctuary policies shield, in some way, illegal immigrants from federal immigration authorities. Of the 23 letters, nine went to jurisdictions in California, as well as to the state itself. For example, federal immigration authorities are prohibited from entering Chicago’s Cook County Jail due to sanctuary policies. The jail also refuses to honor most detainers from Immigration and Customs Enforcement (ICE). A detainer is a request from ICE for the jail to hold an illegal alien for up to an extra 48 hours to transfer custody. 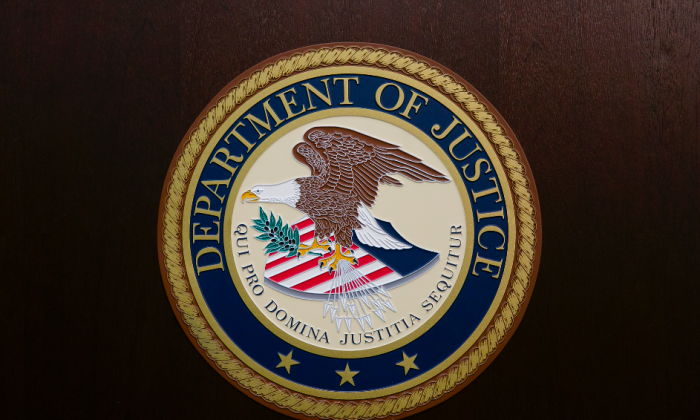 Chicago is one of the major cities on the Justice Department’s list, along with New York City and several major cities in California. Of the 23 letters, nine went to jurisdictions in California, as well as to the state itself. California’s sanctuary state bill went into effect on Jan. 1 this year. SB-54 forbids local law enforcement to communicate with immigration officials about when a criminal is about to be released from custody, except under special circumstances. It also bans state and local law enforcement officers from asking the immigration status of anyone during a routine stop, and prohibits them from arresting illegal aliens based on civil immigration warrants. The bill also prohibits state and local law enforcement agencies from using resources—including facilities, equipment, and personnel—for immigration enforcement purposes without a court warrant. Violators could be subject to civil action, according to state Senate president and author of the bill Kevin de León. Sessions said in a statement that he is urging all jurisdictions to reconsider their sanctuary policies for the sake of safety. 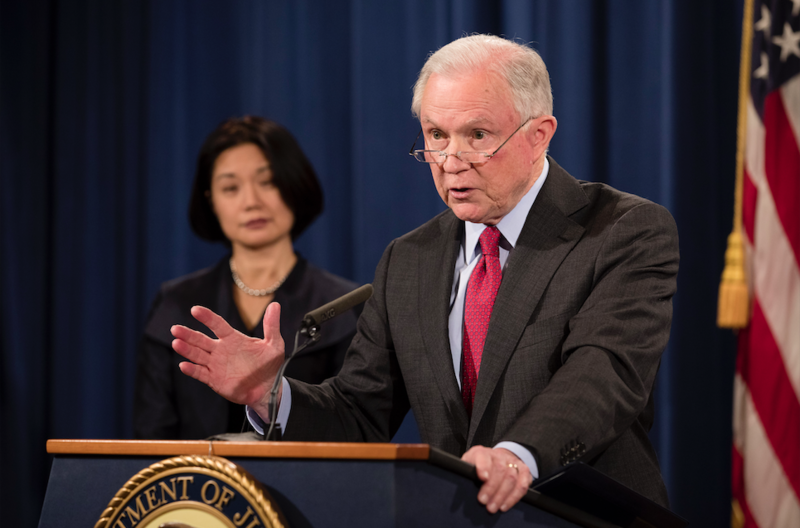 Sessions warned that he could demand that sanctuaries return funds received through the Byrne JAG grants, a federal program that distributes law enforcement funds. New York City Mayor Bill de Blasio boycotted a scheduled meeting at the White House on Wednesday in response to the letter. “I will NOT be attending today’s meeting at the White House after @realDonaldTrump’s Department of Justice decided to renew their racist assault on our immigrant communities. It doesn’t make us safer and it violates America’s core values,” de Blasio tweeted on Jan. 24. Proponents of sanctuary policies say they make communities safer, as illegal immigrants are less afraid to report crime. However, critics say protections exist for illegal immigrants who are victims or witnesses of crime and most law enforcement agencies do not ask immigration status unless that person is arrested. Most people who don’t report crime do so out of fear of retaliation from the criminals, said Department of Justice Acting Assistant Attorney General Kenneth Blanco. 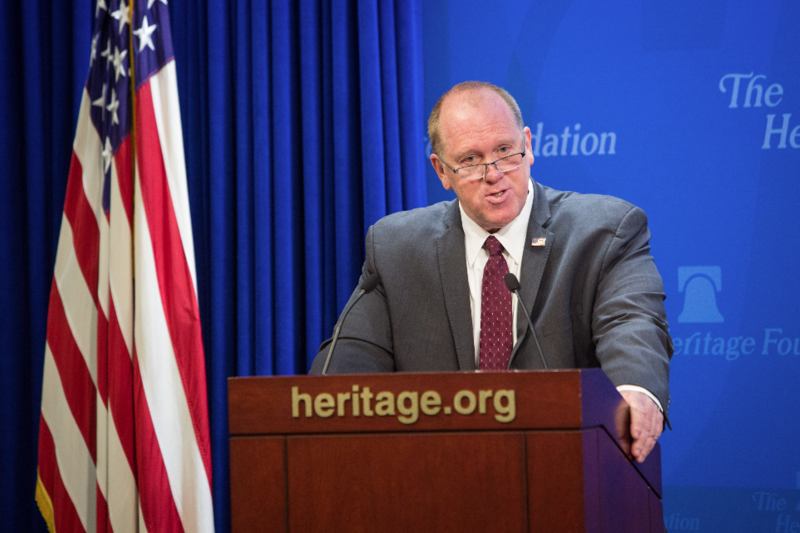 ICE Deputy Director Tom Homan said that as of July 31 last year, almost 10,000 criminal aliens who were released onto the streets nationwide—rather than being turned over to ICE—have committed another crime. Homan said he is sending more ICE agents to California in response to the new statewide sanctuary law. “Together, we will use every legally viable tool at our disposal to protect the American people from dangerous criminal aliens and from the people that place their protection over the protection of law-abiding citizens,” the official said. Sessions started to go after sanctuary cities in July last year with the establishment of new criteria for the Byrne JAG funds. He said in order to receive funds for fiscal year 2017, states and cities must remove any restrictions on communication between state and local agencies and officials at the Department of Homeland Security (DHS); give DHS access to detention facilities to interview inmates about their immigration status; and give DHS at least 48 hours’ notice when a wanted alien is scheduled to be released from a detention facility. Two court rulings have stymied Sessions from withholding funds so far, and the battle will most likely work its way to the Supreme Court, said Art Arthur, former immigration judge and now a fellow for the Center for Immigration Studies. “The Supreme Court will say, if you violate 1373, then they [DOJ] can withhold the funding … without a legislative fix,” Arthur predicted.